With over 1400 assets (including skins and variations), our Asset Pack is the largest made for the community so far. Which you can view by clicking here. 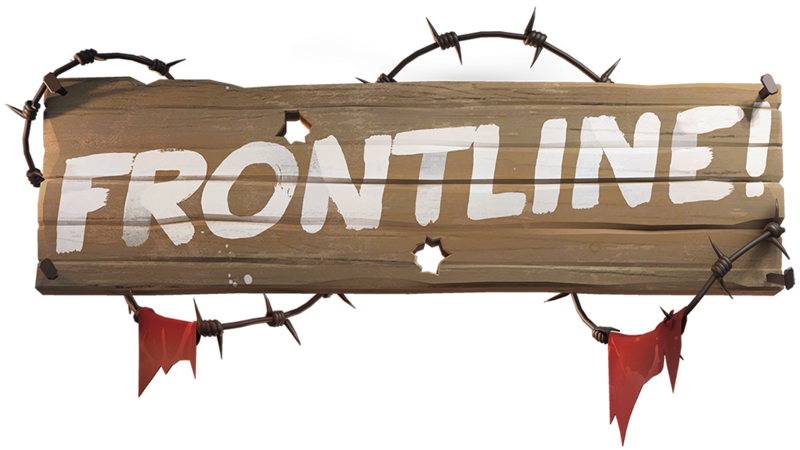 In order to participate, all you need to do is upload any content that you have created for the project onto the TF2 Workshop using our Frontline! Thumbnail Template and post a link to it in one of our threads. We will then make sure your submissions are added to The Frontline! Workshop Collection. I know it may sound stupid, but how do we add the asset-pack to Hammer? I've looked for the models in Hammer but can't find it, do I have to export the Frontline Supply Drop file somewhere? Drag and drop the assets from the .zip provided to your tf/ or tf/download folder and they should be able to sync up with the existing folders there! Let me know if that works for you! Since this is like the 1910th - 1940th theme style i thought about the louise gun and it was the most common weapon used by the ally forces mostly britain but i'd suggest a louise gun on sandbags or on houses or even on the track but will be crushed when the tank/payload drives over it. Also the louise should be able to be used by all classes because let's face it everybody can use a lmg if it's mounted. Don't take this question like a demand it's just a suggestion. Can we submit concept art and if so, where? This probably sounds stupid, but I'm actually trying to learn how to use SFM just so I can make taunts for this.